For this study a number of sources were used, which can be found in articles “Kaza of Bulanik—Demography” and “Kaza of Manazkert—Demography”. The 1878 trip report by Armenian ethnographer Arisdages Der-Sarksents (Devgants),  the 1902 Armenian Patriarchate of Constantinople census of the population of towns and villages on the Plain of Moush and its vicinity collected by writer Kegham Der Garabedian,  and an account on the history of Daron by Garo Sasouni, provided supplementary data. Kaza of Varto. Click on the image to see details (map prepared by Tigran Martirosyan). The names of the Armenian-populated villages of the Varto county during the Ottoman period. The current names of the villages are mentioned between brackets. In the 1902 census of the population of towns and villages on the Plain of Moush and its vicinity, Der Garabedian listed 291 Armenian households or 2,010 inhabitants. A-TO reported 268 Armenian villages or 1,876 inhabitants in 1909. Sasouni apparently borrowed the figure from A-TO, when he suggested that prior to World War I there were 268 households in the county. According to census figures drawn up by the Patriarchate in 1913-1914, the kaza of Varto had 3,715 Armenian inhabitants living in 443 households. Kévorkian and Paboudjian upgraded the figure to 4,649 Armenian inhabitants living in 543 households using supplementary Patriarchate census data available to them. According to a Moush Prelacy count, the results of which were published in 1916 by the secretary of the Prelacy Nazareth Mardirosian in the periodical Van-Dosb, prior to World War I, Armenians accounted for 3,392 inhabitants living in 440 households and 1,258 Kurdish inhabitants living in 186 households. Teotig reported 12,900 Armenian inhabitants prior to 1915. The number suggested by Teotig is almost certainly an overestimate and is not supported by any other source. Ottoman sources containing statistical data on the Armenian population of Varto are annuals for the state and provinces, called salnames, as well as government censuses. The 1871 salname for the vilayet of Erzurum stated there were 605 Armenian and 3,548 Muslim men in the county. The 1872 salname stated there were 705 Armenian and 2,948 Muslim men. Yet another, from 1873, listed 824 Armenian and 4,092 Muslim men living in 1,172 total households. The 1892 salname for the vilayet of Bitlis listed 11,905 inhabitants in Varto, of whom 10,691 were Muslim, and 1,214 Armenian. A census carried out by the Ottoman authorities prior to World War I placed the number of Muslims in Varto at 14,539 and the number of Armenians at 1,990. Another Ottoman source, found in the collection of documents titled “Armenian Activities in the Archive Documents, 1914-1918,” indicated that, in 1915, the number of Varto Armenians who were to be forcibly deported, or as the source put it, “relocated and distanced,” was recorded in Ottoman registries at 1,963. According to a Moush Prelacy count, the results of which were published in Mardirosian’s statistical table, prior to World War I, Armenians in Varto accounted for 3,392 inhabitants. This figure is 1.7 times larger than the Ottoman figure. Listed below are the villages in Varto, which were either largely populated by Armenians or had a number of Armenian (in some cases, ethnically-unspecified) households or were formerly inhabited by Armenians, along with their present-day names placed in brackets. In cases where Armenian hamlets were incorporated in the present-day Varto boundaries becoming town districts, names of the mahallesi (translated from Turkish as “neighborhoods”) are given. Because sources used for this study provided conflicting data, determining the most approximate population number per village seemed unattainable. Unless otherwise specified, the data submitted below are drawn from sources covering a period of about 25 years or from the 1890s to 1915. The village was situated three kilometers (two miles) west of Gyumgyum on the right bank of Gymgyum (Koskar Deresi), a left-bank tributary of Charbouhar, itself a right-bank tributary of the Aradzani (Murat) River. The location of this village corresponds to the location of a village that in some sources figures under the name “Aringong.” Lynch described the village, to which he referred as Alagöz, as a hamlet, but stopped short of specifying the ethnic composition of the population. The village figures in the 1902 Patriarchate census of the villages on the Plain of Moush and its vicinity as a Kurdish populated locality that housed a dilapidated Armenian church, carved cross-stones khachkars, and a graveyard. It is fair to assume, therefore, that formerly it was populated by Armenians. The Center for the Study of Western Armenia and Western Armenians (hereafter CSWA) listed Alagyoz Verin as an Armenian-inhabited village in the localities of the Moush sandjak. The village was situated four kilometers (three miles) southwest of Gyumgyum on the right bank of Gymgyum, a left-bank tributary of the Charbouhar River. The CSWA listed Alagyoz Nerkin as an Armenian-inhabited village in the localities of the Moush sandjak. The village was situated 27 kilometers (17 miles) west of Gyumgyum. Devgants reported 105 Armenian inhabitants in 1878. A-TO stated there were ten Armenian and 30 Kurdish households in the village. This would place the number of Armenian inhabitants at 80. Mayewski listed five Armenian and nineteen Kurdish households. Der Garabedian stated there were fifteen Armenian households or 80 inhabitants. In Mardirosian’s updated statistical table, the village had twelve Armenian households or 92 inhabitants and no Kurdish households. According to the Patriarchate census figures, prior to World War I, the village had fifteen Armenian households or 80 inhabitants. Teotig reported 500 Armenian inhabitants prior to 1915. Tatevos Hagopian, Sd. D. Melik Bakhshian, and H.Kh. Parseghian, authors of the “Dictionary of Toponymy of Armenia,” suggested that in the early 1900s the village had ten Armenian and 30 Kurdish households. Sasouni reported fifteen Armenian households or 80 inhabitants prior to the genocide. The village was situated 27 kilometers (sixteen miles) southwest of Gyumgyum in the south-westernmost part of the kaza of Varto. The village was situated 23 kilometers (fourteen miles) southeast of Gyumgyum near the right bank of the Aradzani (Murat) River. A-TO stated there were eighteen Armenian and twenty Kurdish households in the village. This would place the number of Armenian inhabitants at 144. Mayewski listed sixteen Armenian and 25 Kurdish households. Der Garabedian stated there were 35 Armenian households or 241 inhabitants. In Mardirosian’s updated statistical table, the village had 42 Armenian households or 310 inhabitants, and 46 Kurdish households or 290 inhabitants. According to the Patriarchate census figures, prior to World War I, the village had eighteen Armenian households or 150 inhabitants. Teotig reported 400 Armenian inhabitants prior to 1915. Sasouni reported eighteen Armenian households (elsewhere in his treatise, 35 Armenian households or 241 inhabitants) prior to the genocide. The village was situated nineteen kilometers (twelve miles) southwest of Gyumgyum. The village figures in the 1902 Patriarchate census of the villages on the Plain of Moush and its vicinity as a Kurdish populated locality that housed a dilapidated Armenian church, khachkars, and a graveyard. It is fair to assume, therefore, that formerly it was populated by Armenians. Arabo, which was situated close to Selikan, is not to be confused with the homonymous village in the neighboring Khnous (Hınıs) county of the Erzurum province. The village was situated ten kilometers (six miles) south of Gyumgyum on the right bank of Zreng (Kayalık Deresi), a right-bank tributary of the Charbouhar River. The village was a formerly Armenian populated locality where Ottoman authorities resettled mouhadjirs in the 1860s. The CSWA listed Aynak as an Armenian-inhabited village in the localities of the Moush sandjak. 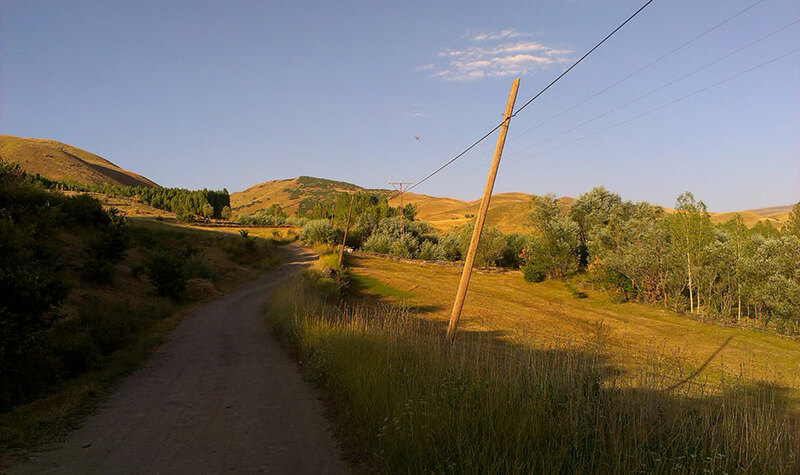 The village was situated 30 kilometers (nineteen miles) east of Gyumgyum southeast of Lake Hamrpert (Akdoğan Gölü). Unverified sources suggest that by the late nineteenth-early twentieth century Armenian inhabitants were driven from this village. 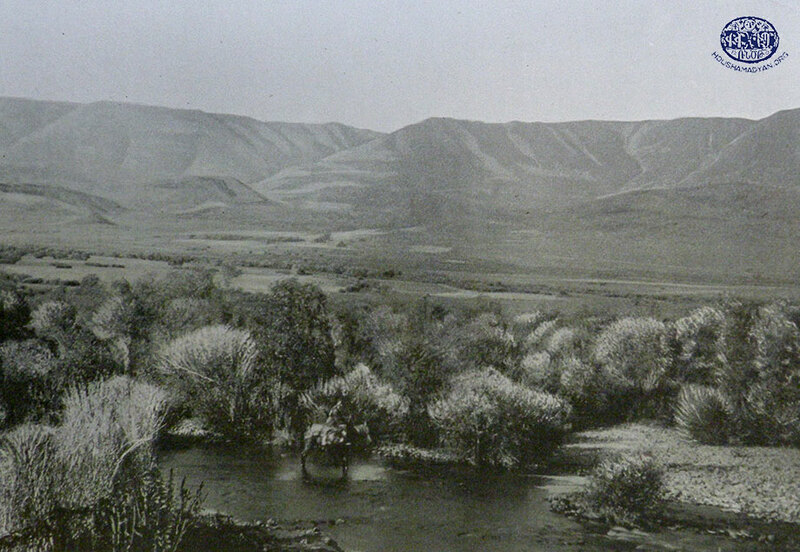 The village was situated 26 kilometers (sixteen miles) west of Gyumgyum on the left bank of Mergemer (Sherefeddin), a right-bank tributary of the Charbouhar River. The village under the name “Verin Baghlu” (Upper Baghlu) figures in the 1902 Patriarchate census of the villages on the Plain of Moush and its vicinity as a Kurdish populated locality that housed a dilapidated Armenian church, khachkars, and a graveyard. It is fair to assume, therefore, that formerly it was populated by Armenians. If there were indeed two localities, Nerkin Baghlu (Lower Baghlu) would have been situated about one kilometer (0.62 mile) southwest of Verin Baghlu at Lat: 39°7’24.6252” Lng: 41°9’53.8884”. The CSWA listed Baghlu as an Armenian-inhabited village in the localities of the Moush sandjak. The village was situated ten kilometers (six miles) northeast of Gyumgyum on a slope of the Khamourberd Mountains. Lynch described the village, to which he referred as Bashkent, as a Kurdish hamlet. 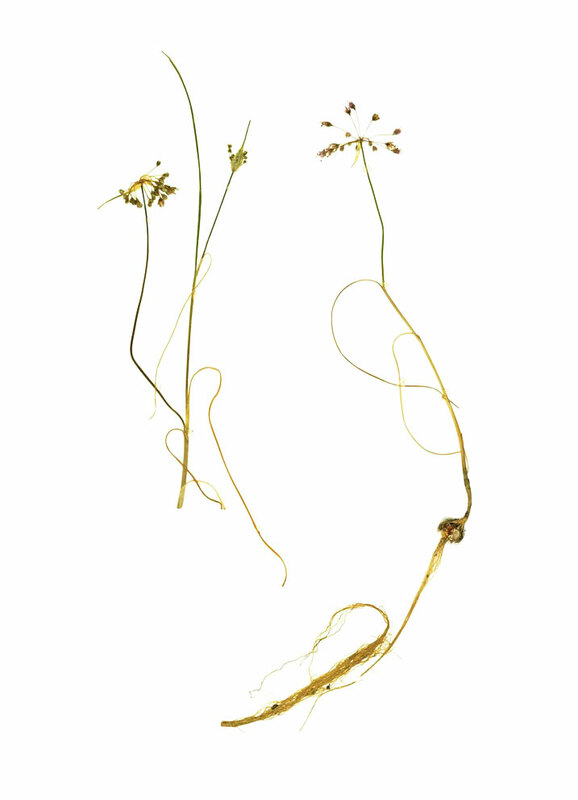 Hagopian et al. suggested that in the early 1900s the village had eighteen ethnically-unspecified households. The village was situated eleven kilometers (seven miles) northeast of Gyumgyum on a slope of the Khamourberd Mountains. Hagopian et al. suggested that in the early 1900s the village had nine ethnically-unspecified households. The village was situated twenty-two kilometers (fourteen miles) northwest of Gyumgyum on the left bank of Pazgan (Bingöl), a left-bank tributary of the Charbouhar River. The village was situated fifteen kilometers (nine miles) southeast of Gyumgyum on the right bank of the Aradzani (Murat) River. This village no longer exists. Unverified sources suggest that by the late nineteenth-early twentieth century Armenian inhabitants were driven from this village. The village was situated eighteen kilometers (eleven miles) northwest of Gyumgyum on the right bank of Pazgan (Bingöl), a left-bank tributary of the Charbouhar River. 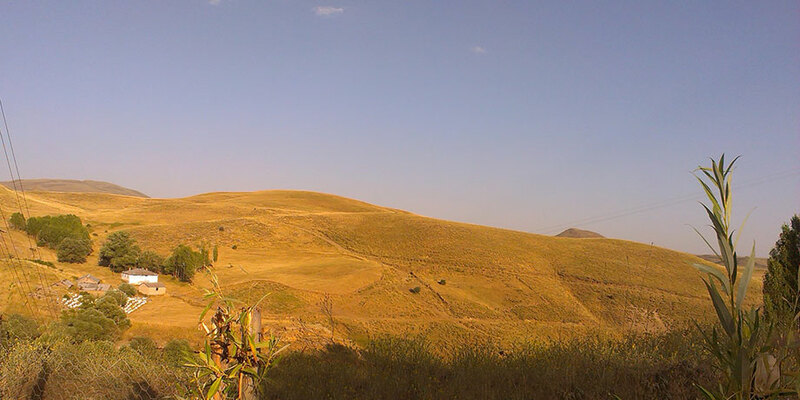 Lynch described the village, to which he referred as Chaghelik, as a Kurdish hamlet. Referring to the village as Chelak, the CSWA listed Chalek as an Armenian-inhabited village in the localities of the Moush sandjak. The village was situated 24 kilometers (fifteen miles) northwest of Gyumgyum. The earliest record of Chanadzor is found in a fifteenth-century patriarchal letter by the Catholicos Krikor Magvetsi as land property belonging to the Saint John (Sourp Hovhannes) monastery of Yeghrtoud in the Plain of Moush. Unverified sources suggest that by the late nineteenth-early twentieth century Armenian inhabitants were driven from this village. The village was situated ten kilometers (six miles) southeast of Gyumgyum near the point of confluence of the Aradzani (Murat) River and its right-bank tributary, Charbouhar. The village was a formerly Armenian populated locality where Ottoman authorities resettled mouhadjirs in the 1860s. Mayewski raised the figure of 70 for the total number of households suggested by Kolyubakin to 100. Hagopian et al. suggested that in the early 1900s the village had 70 ethnically-unspecified households. The village figures in the 1902 Patriarchate census of the villages on the Plain of Moush and its vicinity as a Kurdish populated locality that housed a dilapidated Armenian church, khachkars, and a graveyard. It is fair to assume, therefore, that formerly it was populated by Armenians. The village was situated 26 kilometers (sixteen miles) west of Gyumgyum on the right bank of Kara Hamzan (Hasanova Çayı), a left-bank tributary of the Charbouhar River. Hagopian et al. suggested that in the early 1900s the village had 50 ethnically-unspecified households. The village was situated 21 kilometers (thirteen miles) northwest of Gyumgyum on the left bank of Pazgan (Bingöl), a left-bank tributary of the Charbouhar River. The village was situated 34 kilometers (21 miles) west of Gyumgyum on the left bank of Kara Hamzan (Hasanova Çayı), a left-bank tributary of the Charbouhar River. Hagopian et al. suggested that in the early 1900s the village had fifteen ethnically-unspecified households. The village was situated 31 kilometers (nineteen miles) west of Gyumgyum on the left bank of Kara Hamzan (Hasanova Çayı), a left-bank tributary of the Charbouhar River. Hagopian et al. suggested that in the early 1900s the village had eleven ethnically-unspecified households. The village was situated 34 kilometers (21 miles) east of Gyumgyum southeast of Lake Hamrpert. The village name figures in an eighteenth-century Armenian chronicle that contains the name of an Armenian village head. Unverified sources suggest that by the late nineteenth-early twentieth century Armenian inhabitants were driven from this village. The village was situated fifteen kilometers (nine miles) east of Gyumgyum west of Lake Hamrpert. This village does not exist. The CSWA listed Derbant as an Armenian-inhabited village in the localities of the Moush sandjak. The village was situated five kilometers (three miles) southeast of Gyumgyum near the left bank of the Charbouhar River. The village was situated 27 kilometers (seventeen miles) southeast of Gyumgyum on the right bank of the Aradzani (Murat) River. Mayewski listed four Armenian and 28 Kurdish households. The village was situated sixteen kilometers (ten miles) west of Gyumgyum near the right bank of the Charbouhar River. Lynch described Diadin, to which he referred as Diyadin, as a village inhabited by Armenians. Hagopian et al. concurred that Diadin was an entirely Armenian populated locality. The village figures in the 1902 Patriarchate census of the villages on the Plain of Moush and its vicinity as a Kurdish populated locality that housed a dilapidated Armenian church, khachkars, and a graveyard. It is fair to assume, therefore, that formerly it was populated by Armenians. The village was situated twelve kilometers (eight miles) west of Gyumgyum on the left bank of the Charbouhar River. Devgants reported 245 Armenian inhabitants in 1878. Lynch described Dodan as a village inhabited by Armenians. A-TO stated there were 40 Armenian households in the village. This would place the number of Armenian inhabitants at 320. Mayewski listed 45 Armenian and no Kurdish households. Der Garabedian stated there were 51 Armenian households or 384 inhabitants. In Mardirosian’s updated statistical table, the village had 84 Armenian households or 620 inhabitants and no Kurdish households. According to the Patriarchate census figures, prior to World War I, the village had 72 Armenian households or 670 inhabitants. Teotig reported 1,000 Armenian inhabitants prior to 1915. Hagopian et al. suggested that in the early 1900s the village had 45 Armenian households. Sasouni reported 44 Armenian households (elsewhere in his treatise 51 Armenian households or 384 inhabitants) prior to the genocide. The village was situated ten kilometers (six miles) southwest of Gyumgyum on the right bank of the Charbouhar River. Hagopian et al. suggested that in the early-1900s the village had fifteen ethnically-unspecified households. The village was situated fourteen kilometers (nine miles) east of Gyumgyum on the left bank of Pazgan (Bingöl), a left-bank tributary of the Charbouhar River. Devgants reported 315 Armenian inhabitants in 1878. Lynch described Gundemir as a village inhabited by Armenians. A-TO stated there were 60 Armenian households in the village. This would place the number of Armenian inhabitants at 480. Mayewski listed 200 Armenian and no Kurdish households. Der Garabedian stated there were 80 Armenian households or 560 inhabitants. In Mardirosian’s updated statistical table, the village had 96 Armenian households or 760 inhabitants and no Kurdish households. Teotig reported 2,000 Armenian inhabitants prior to 1915. According to the Patriarchate census figures, prior to World War I, the village had 182 Armenian households or 1,600 inhabitants. Hagopian et al. suggested that in the early 1900s the village had 200 Armenian households. Sasouni reported 51 Armenian households (elsewhere in his treatise, 80 Armenian households or 560 inhabitants) prior to the genocide. The town was situated 49 kilometers (30 miles) north of Moush, the administrative center of the Moush prefecture. The town of Gyumgyum was the administrative center of the kaza of Varto. Devgants reported 240 Armenian inhabitants in 1878. James Bryant, the British consul of Erzurum, who passed through Varto in 1838, with those of Lynch half a century later. Gyumgyum seen by Bryant was a village of thirty Kurdish and fifteen Armenian households. 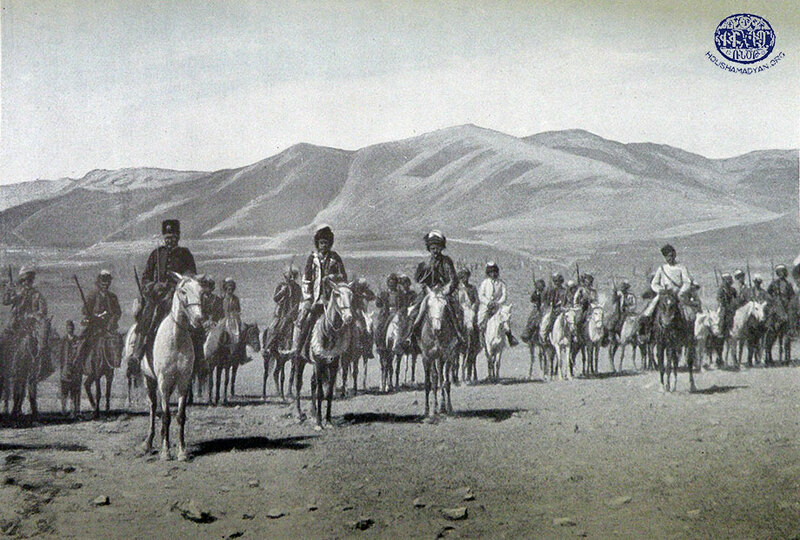 By the time of Lynch’s visits in the late 1890s, the county had gained Kurdish migrants and lost some Armenians, who had settled in the Russian Caucasus. Lynch’s Gyumgyum was twice as big as Briant’s; the new arrivals were Kurds and the town’s Armenian population had fallen. 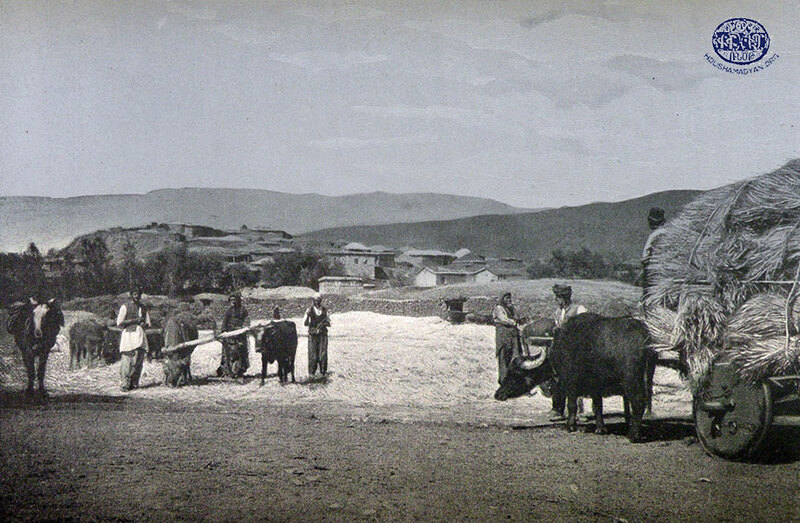 Lynch described Gyumgyum as village or little town that had no more than 80 households, of which ten might be inhabited by Armenians. A-TO stated there were 60 Armenian and 140 Kurdish households in the village. This would place the number of Armenian inhabitants at 480. Mayewski raised the figure of 85 for the total number of households suggested by Kolyubakin to 150 and listed fifteen Armenian and 70 Kurdish households. Der Garabedian stated there were 60 Armenian households or 380 inhabitants. In Mardirosian’s updated statistical table, the village had 72 Armenian households or 482 inhabitants, and 140 Kurdish households or 968 inhabitants. According to the Patriarchate census figures, prior to World War I, the village had around 725 inhabitants, of which 600 were Armenians living in 70 households, 80 Kurds, and 45 Turks. Cuinet suggested that in 1891, there were 130 mixed households in Gyumgyum. Teotig reported 2,000 Armenian and 300 Muslim inhabitants prior to 1915. Hagopian et al. suggested that in the early 1900s the village had 200 mixed Armenian and Muslim households. Sasouni reported 60 Armenian households or 380 inhabitants prior to the genocide. The village was situated thirteen kilometers (eight miles) southeast of Gyumgyum. The village figures in the 1902 Patriarchate census of the villages on the Plain of Moush and its vicinity as a Kurdish populated locality that housed a dilapidated Armenian church, khachkars, and a graveyard. It is fair to assume, therefore, that formerly it was populated by Armenians. The village was situated nine kilometers (six miles) south of Gyumgyum near the right bank of the Charbouhar River. The CSWA listed Hadjibek as an Armenian-inhabited village in the localities of the Moush sandjak. The village figures in the 1902 Patriarchate census of the villages on the Plain of Moush and its vicinity as a Kurdish populated locality that housed a dilapidated Armenian church, khachkars, and a graveyard. It is fair to assume, therefore, that formerly it was populated by Armenians. Hagopian et al. suggested that in the early 1900s the village had fifteen ethnically-unspecified households. 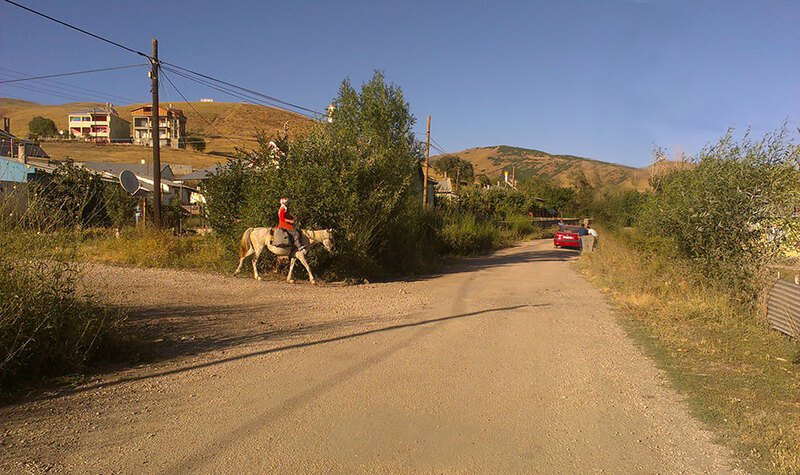 The village was situated seven kilometers (five miles) south of Gyumgyum near the right bank of the Charbouhar River. Hagopian et al. listed the village in their Dictionary, but did not specify the number of inhabitants or households. The village was situated 38 kilometers (23 miles) west of Gyumgyum on the left bank of Kara Hamzan (Hasanova Çayı), a left-bank tributary of the Charbouhar River. Devgants reported 143 Armenian inhabitants in 1878. According to the Patriarchate census figures, which were upgraded by Kévorkian and Paboudjian, prior to World War I, the village had 40 Armenian households or 382 inhabitants. Hagopian et al. suggested that in 1890 the village had 80 Armenian households or about 600 inhabitants, and in 1909, 30 to 40 Armenian households. Sasouni reported 30 Armenian households (elsewhere in his treatise, 40 Armenian households) prior to the genocide. The village was situated four kilometers (two miles) south of Gyumgyum near the left bank of the Charbouhar River. Mayewski raised the figure of three for the total number of households suggested by Kolyubakin to fifteen. Hagopian et al. suggested that in the early 1900s the village had three ethnically-unspecified households. The village was situated thirteen kilometers (eight miles) west of Gyumgyum near the left bank of Pazgan (Bingöl), a left-bank tributary of the Charbouhar River. The village was situated three kilometers (two miles) southeast of Gyumgyum, presently a mahalle of Varto, also known as Yeni. According to Hagopian et al., in the early-twentieth century, apparently after Armenian inhabitants fled or were killed during the Hamidian massacres, the village had 20 to 22 Kurdish inhabitants. The village figures in the 1902 Patriarchate census of the villages on the Plain of Moush and its vicinity as a Kurdish populated locality that housed a dilapidated Armenian church, khachkars, and a graveyard. It is fair to assume, therefore, that formerly it was populated by Armenians. The village was situated 29 kilometers (eighteen miles) east of Gyumgyum on the left bank of Kara Hamzan (Hasanova Çayı), a left-bank tributary of the Charbouhar River. Hagopian et al. suggested that in the early-1900s the village had 21 ethnically-unspecified households and that unspecified other sources indicated that during the same period the village had 25 households. The village was situated seven kilometers (five miles) southeast of Gyumgyum on the left bank of the Charbouhar River. The village was situated ten kilometers (six miles) southeast of Gyumgyum near the right bank of the Charbouhar River. Hagopian et al. suggested that in the early 1900s the village had 44 ethnically-unspecified households. The village figures as Kharamesh in the 1902 Patriarchate census of the villages on the Plain of Moush and its vicinity as a Kurdish populated locality that housed a dilapidated Armenian church, khachkars, and a graveyard. It is fair to assume, therefore, that formerly it was populated by Armenians. The CSWA listed Karashen as an Armenian-inhabited village in the localities of the Moush sandjak. The village was situated eight kilometers (five miles) southeast of Gyumgyum on the left bank of the Charbouhar River. This village no longer exists. The village was a formerly Armenian populated locality where Ottoman authorities resettled mouhadjirs in the 1860s. The village was situated five kilometers (three miles) northwest of Gyumgyum on the right bank of Gymgyum, a left-bank tributary of the Charbouhar River. The village was situated nine kilometers (six miles) north of Gyumgyum near the left bank of Gymgyum, a left-bank tributary of the Charbouhar River. The village was situated eight kilometers (five miles) east of Gyumgyum. The village was situated six kilometers (four miles) north of Gyumgyum. The village figures in the 1902 Patriarchate census of the villages on the Plain of Moush and its vicinity as a Kurdish populated locality that housed a dilapidated Armenian church, khachkars, and a place of pilgrimage. It is fair to assume, therefore, that formerly it was populated by Armenians. The village was situated nineteen kilometers (twelve miles) northwest of Gyumgyum near the left bank of Pazgan (Bingöl), a left-bank tributary of the Charbouhar River. The CSWA listed Khamouk as an Armenian-inhabited village in the localities of the Moush sandjak. The village was situated 21 kilometers (thirteen miles) southeast of Gyumgyum southwest of Lake Hamrpert. The village name denotes “stone village” in Armenian. The village figures in the 1902 Patriarchate census of the villages on the Plain of Moush and its vicinity as a Kurdish populated locality that housed a dilapidated Armenian church, khachkars, and a graveyard. It is fair to assume, therefore, that formerly it was populated by Armenians. The village was situated 21 kilometers (thirteen miles) northwest of Gyumgyum near the left bank of Pazgan (Bingöl), a left-bank tributary of the Charbouhar River. The CSWA listed Kharik as an Armenian-inhabited village in the localities of the Moush sandjak. The village was situated one kilometer (0.62 mile) east of Gyumgyum. As a result of expansion of Varto, this village has become a town district. The CSWA listed Khashav as an Armenian-inhabited village in the localities of the Moush sandjak. The village was situated 22 kilometers (fourteen miles) northwest of Gyumgyum. The village was situated sixteen kilometers (ten miles) southeast of Gyumgyum near the right bank of the Aradzani (Murat) River. Referring to the village as Khanzourik Verin, the CSWA listed Khndzor Verin as an Armenian-inhabited village in the localities of the Moush sandjak. Referring to the village as Khanzourik Nerkin, the CSWA listed Khndzor Nerkin as an Armenian-inhabited village in the localities of the Moush sandjak. The village was situated eighteen kilometers (eleven miles) west of Gyumgyum near the left bank of Mergemer (Sherefeddin), a right-bank tributary of the Charbouhar River. According to Hagopian et al., the village housed an Armenian church. It is fair to assume, therefore, that formerly it was populated by Armenians. The village was situated 39 kilometers (24 miles) west of Gyumgyum on the right bank of Kara Hamzan (Hasanova Çayı), a left-bank tributary of the Charbouhar River. The village name, translated from Turkish as “the churches,” suggests that formerly Kilisok could have been populated by Armenians. The village was situated twelve kilometers (eight miles) southeast of Gyumgyum near the left bank of Zreng, a right-bank tributary of the Charbouhar River. The village was situated thirteen kilometers (eight miles) northeast of Gyumgyum on a slope of the Khamourpert Mountains. The village was situated thirteen kilometers (eight miles) north of Gyumgyum on the left bank of Gymgyum, a left-bank tributary of Charbouhar. The village figures in the 1902 Patriarchate census of the villages on the Plain of Moush and its vicinity as a Kurdish populated locality that housed a dilapidated Armenian church and a place of pilgrimage. It is fair to assume, therefore, that formerly it was populated by Armenians. The village was situated sixteen kilometers (ten miles) northwest of Gyumgyum near the left bank of Pazgan (Bingöl), a left-bank tributary of the Charbouhar River. Devgants reported eight Armenian inhabitants in 1878. According to Hagopian et al., in 1882, apparently after Armenians had to abandon the village during the 1877-1878 Russo-Turkish war, it had 95 and, in 1909, 91 Kurdish inhabitants. The village figures in the 1902 Patriarchate census of the villages on the Plain of Moush and its vicinity as a Kurdish populated locality that housed a dilapidated Armenian church, khachkars, and a graveyard. It is fair to assume, therefore, that formerly it was populated by Armenians. The CSWA listed Kotan as an Armenian-inhabited village in the localities of the Moush sandjak. Kotan is not to be confused with the homonymous locality situated 3 kilometers (two miles) north of the village. The village was situated nineteen kilometers (twelve miles) northwest of Gyumgyum. Kotan is not to be confused with the homonymous locality (present-day Güzelkent) situated 3 kilometers (two miles) south of the village. The village was situated eight kilometers (five miles) southeast of Gyumgyum. Unverified sources suggest that originally the village figured under the name “Meghrakar,” meaning “honey stone” in Armenian. Apparently, the name was literally translated first into Kurdish, “kevirê hûngiv”, and then into Turkish, “bal taşı.” Same sources suggest that by the late nineteenth-early twentieth century Armenian inhabitants were driven from this village. The village was situated eight kilometers (five miles) northwest of Gyumgyum on the right bank of Gymgyum, a left-bank tributary of the Charbouhar River. The village was situated 34 kilometers (21 miles) southeast of Gyumgyum. The exact location of this village cannot be determined. Mamakhig either disappeared under the ancillary buildings of the Alpaslan-1 Dam (Tur. Alpaslan I Barajı) or its location exists in the nearby hamlet at 39°3’32.8824”N, 41°49’31.3284”E. The village name derives from the Armenian name “mamoukh” or “mamkhi” for blackthorn (prunus spinosa). The village was situated ten kilometers (six miles) east of Gyumgyum. According to the 1902 Patriarchate census of the villages on the Plain of Moush and its vicinity, in the early-1870s, that is, before Armenians had to abandon the village during the 1877-1878 Russo-Turkish war, there were 35 Armenian households in the village. The village was situated twenty kilometers (twelve miles) northwest of Gyumgyum. The village was situated eighteen kilometers (eleven miles) northwest of Gyumgyum, two kilometers (about one mile) east of Oustoukran Sdorin. In Mardirosian’s updated statistical table, the village had eight Armenian households or 52 inhabitants and no Kurdish households. Referring to the village as Askoure Medz, Hagopian et al. suggested that in the early 1900s the village had six ethnically-unspecified households. In Mardirosian’s updated statistical table, the village had six Armenian households or 38 inhabitants and no Kurdish households. According to the Patriarchate census figures, prior to World War I, both Upper and Lower Ousotukran villages had eight Armenian households or 40 inhabitants and an unspecified number of Kurdish households or 40 inhabitants. Referring to the village as Askoure Pokr, Hagopian et al. suggested that in the late nineteenth century the village had a few ethnically-unspecified households. The village was situated eighteen kilometers (eleven miles) west of Gyumgyum on the right bank of Mergemer (Sherefeddin), a right-bank tributary of the Charbouhar River. Devgants reported 525 Armenian inhabitants in 1878. Lynch described Baskan as a village inhabited by Armenians. A-TO stated there were 80 Armenian households in the village. This would place the number of Armenian inhabitants at 640. Mayewski listed 75 Armenian and no Kurdish households. Der Garabedian stated there were 50 Armenian households or 356 inhabitants. In Mardirosian’s updated statistical table, the village had 120 Armenian households or 1,038 inhabitants and no Kurdish households. According to the Patriarchate census figures, prior to World War I, the village had 78 Armenian households or 575 inhabitants. Teotig reported 7,000 Armenian inhabitants prior to 1915. Hagopian et al. suggested that in the early 1900s the village had 85 Armenian households or 566 inhabitants. Sasouni reported 80 Armenian households (elsewhere in his treatise, 50 Armenian households or 365 inhabitants) prior to the genocide. The village was situated thirteen kilometers (eight miles) northwest of Gyumgyum. The village was situated fourteen kilometers (nine miles) west of Gyumgyum. Lynch described the village as a Kurdish settlement “of some size.” The village figures in the 1902 Patriarchate census of the villages on the Plain of Moush and its vicinity as a Kurdish populated locality that housed a dilapidated Armenian church, khachkars, and a graveyard. It is fair to assume, therefore, that formerly it was populated by Armenians. One indication that the village was formerly populated by Armenians is that, according to Der Garabedian, up until 1892 the gate lock of the John the Baptist (Sourp Garabed) monastery, which was located 22 kilometers (fourteen miles) southeast of the village, was kept purportedly with a village priest in Randouli. The CSWA listed Randouli as an Armenian-inhabited village in the localities of the Moush sandjak. The village was situated nineteen kilometers (twelve miles) east of Gyumgyum near the western shore of Lake Hamrpert. The village figures in the 1902 Patriarchate census of the villages on the Plain of Moush and its vicinity as a Kurdish populated locality that housed a dilapidated Armenian church, khachkars, and a graveyard. It is fair to assume, therefore, that formerly it was populated by Armenians. The CSWA listed Sachak as an Armenian-inhabited village in the localities of the Moush sandjak. The village was situated 21 kilometers (thirteen miles) southwest of Gyumgyum on the right bank of Mergemer (Sherefeddin or Selikan), a right-bank tributary of the Charbouhar River. According to the Patriarchate census figures, which were upgraded by Kévorkian and Paboudjian, prior to World War I, the village had 60 Armenian households or 552 inhabitants. Mayewski reported that Selikan administratively formed part of the kaza of Moush and listed 30 Armenian and five Kurdish households. Hagopian et al. concurred that the village sometimes figures as a locality of the Moush county and suggested that in 1914 the village had around 80 Armenian households or 500 inhabitants. Sasouni reported 60 Armenian households prior to the genocide. The village was situated twelve kilometers (eight miles) northeast of Gyumgyum on a slope of the Khamourpert Mountains. The village was situated twelve kilometers (eight miles) southeast of Gyumgyum west of Lake Hamrpert. The village was situated twenty kilometers (twelve miles) southeast of Gyumgyum on the right bank of the Aradzani (Murat) River. The CSWA listed Shipk as an Armenian-inhabited village in the localities of the Moush sandjak. The village was situated fifteen kilometers (nine miles) northwest of Gyumgyum. 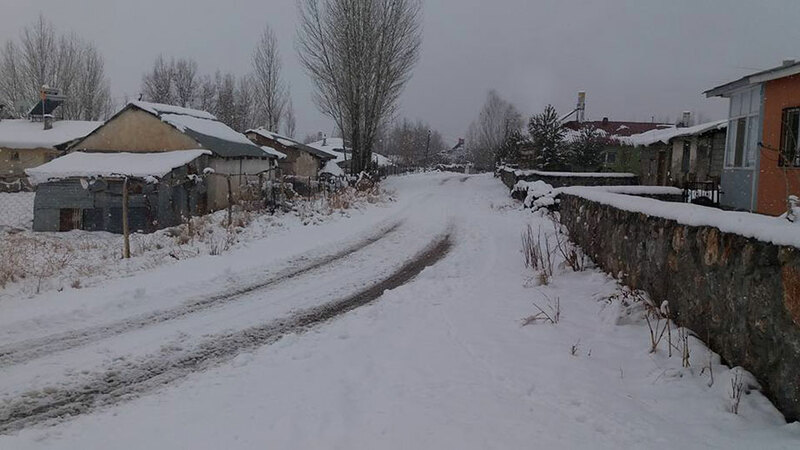 The village was situated eleven kilometers (seven miles) southwest of Gyumgyum near the left bank of Zreng, a right-bank tributary of the Charbouhar River. The village was situated twelve kilometers (eight miles) northwest of Gyumgyum. The village was situated eleven kilometers (seven miles) northwest of Gyumgyum on the right bank of Gymgyum, a left-bank tributary of the Charbouhar River. Unverified sources suggest that by the late nineteenth-early twentieth century Armenian inhabitants were driven from this village and that there were two localities: Upper Tapak (Tapak Verin) and Lower Tapak (Tapak Nerkin). If there were indeed two localities, Tapak Nerkin would have been situated about one kilometer (0.62 mile) west of Tapak Verin. The village was a formerly Armenian populated locality where Ottoman authorities resettled mouhadjirs in the 1860s. Hagopian et al. suggested that in the early 1900s the village had 50 ethnically-unspecified households. The village was situated seven kilometers (five miles) south of Gyumgyum on the right bank of the Charbouhar River. The village was a formerly Armenian populated locality where Ottoman authorities resettled mouhadjirs in the 1860s. The village figures in the 1902 Patriarchate census of the villages on the Plain of Moush and its vicinity as a Circassian populated locality that housed a dilapidated Armenian church, khachkars, and a graveyard. It is fair to assume, therefore, that formerly it was populated by Armenians. The village was situated seventeen kilometers (eleven miles) southeast of Gyumgyum west of Lake Hamrpert. The village was situated twelve kilometers (eight miles) southeast of Gyumgyum near the right bank of the Aradzani (Murat) River. This village is now almost totally destroyed. Referring to the village as Yekmal, the CSWA listed Yaghmal as an Armenian-inhabited village in the localities of the Moush sandjak. The location of this village cannot be determined. The village figures in the 1902 Patriarchate census of the villages on the Plain of Moush and its vicinity as an abandoned locality that housed a dilapidated Armenian church, khachkars, and a graveyard. It is fair to assume, therefore, that formerly it was populated by Armenians. The village was situated one kilometer (0.62 mile) west of Gyumgyum. As a result of expansion of Varto, this village has become a town district. Referring to the village as Yergyan, the CSWA listed Yergyam as an Armenian-inhabited village in the localities of the Moush sandjak. The village was situated five kilometers (three miles) north of Gyumgyum. Unverified sources suggest that Zadsheykh was formerly populated by Armenians as ruins of churches and monasteries stood on the outskirts of the village before the early twentieth century. The village was situated nine kilometers (six miles) south of Gyumgyum on the left bank of Zreng, a right-bank tributary of the Charbouhar River. The village was a formerly Armenian populated locality where Ottoman authorities resettled mouhadjirs in the 1860s. Hagopian et al. suggested that in the early 1900s the village had 80 ethnically-unspecified households. The village was situated eight kilometers (five miles) southwest of Gyumgyum near the right bank of the Charbouhar River. Hagopian et al., Hayasdani ev haragits shrchanneri, volume 4, p. 786. Ashod Melkonian, [The Ottoman Policy of the Destruction of the Ethno-demographic Structure of Erzurum Province of Western Armenia (from the 16th century to the beginning of the 20th century)], in Fundamental Armenology, no. 1 (2015). H.F.B Lynch, Armenia: Travels and Studies, volume 2, The Turkish Provinces, Longmans, Green, & Co., London, New York, 1901, pp. 184, 250. Sasouni, Batmoutiun Daroni, p. 320. Massis, Constantinople, February 5 (17), 1881. Luma, chapter 1 (January), Tiflis, 1897. Massis, Constantinople, November 24 (December 6), 1880. Vital Cuinet, La Turquie d’Asie: géographie administrative, statistique, descriptive et raisonée de chaque province de l’Asie-Mineure, volume 2, Paris, 1891, p. 592. Raymond Kévorkian, Paul Paboudjian, Les Arméniens dans l’Empire Ottoman à la veille du genocide, ARHIS, Paris, 1992, p. 500. Luma, chapter 1 (January 1897), p. 167. Devgants, Aitseloutiun i Hayasdan, pp. 74-75, 90. Cuinet, La Turquie d’Asie, p. 592. On p. 130 in Statistical Study, Mayewski admitted that he mistakenly included 183 households inhabited by the mouhadjirs in the total for Kurdish households, which brings the number down to 1,417. Christopher de Bellaigue, Rebel Land: Unraveling the Riddle of History in a Turkish Town, Penguin Books, London, 2010, p. 85. The 1902 Armenian Patriarchate of Constantinople census of the population of towns and villages on the Plain of Moush and its vicinity (collected by Kegham Der Garabedian), pp. 120-126. A-TO, Vani, Bitlisi yev Erzroumi Vilayetnere, p. 157. AGBU Nubar Library Archive, APC/BNu, DOR 3/3, f. 59. Kévorkian/Paboudjian, Les Arméniens dans l’Empire Ottoman, p. 500. Okcu/Akdağ, Salname-i vilayet-i Erzurum, pp. 205, 317, 442. Kemal Karpat, Ottoman Population, 1830-1914: Demographic and Social Characteristics, The University of Wisconsin Press, Madison, 1985, p. 174. Ahmet Tetik (ed. ), Armenian Activities in the Archive Documents, 1914-1918, volume 1, Genelkurmay Basım Evi, Ankara, 2005, p. 151. Hagopian et al., Hayasdani ev haragits shrchanneri, p. 600. James Brant, "Notes of a Journey through a part of Kurdistan, in the Summer of 1838", in Journal of the Royal Geographical Society of London, no. 11 (1841), p. 347.